George mixed singer-songwriter Shawn Mendes’ new ‘Live at Madison Square Garden’ album released worldwide on Friday (Dec. 23). Recorded during the singer/songwriter’s sold-out Sept. 10 concert, the new release features the hit singles “Treat You Better”, “Mercy”, “Stitches” and “Life of the Party”, alongside special medleys of other songs. 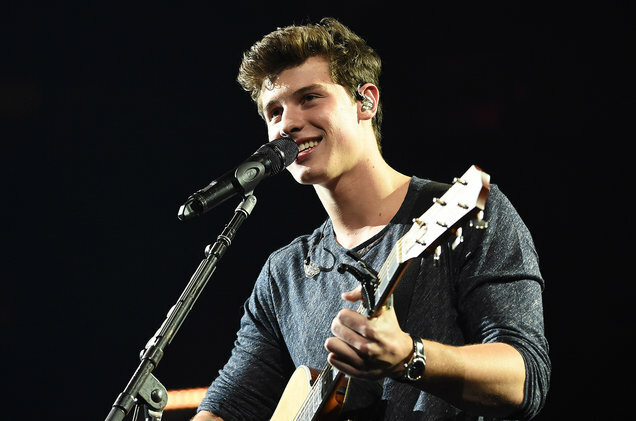 The album documents Mendes’ first time headlining at the historic New York City arena. The 18-year-old Canadian has had a star-making year. His sophomore album, Illuminate, debuted at No. 1 on the Billboard 200 chart in September. He also headlined Radio City Music Hall and performed on Saturday Night Live earlier this month.